The Office shall begin with all kneeling in humility. Wherever the + symbol appears, all shall cross themselves. Officiant: + O God, make speed to save us. People: O Lord, make haste to help us. O: Glory be to the Father and to the Son and to the Holy Ghost. All: As it was in the beginning is now and ever shall be, world without end. Amen. but walk in his ways. when I learn your righteous ordinances. do not utterly forsake me. All: Whosoever will be saved, before all things it is necessary that he hold the Catholic Faith. Which Faith except everyone do keep whole and undefiled, without doubt he shall perish everlastingly. 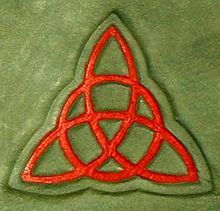 And the Catholic Faith is this, that we worship one God in Trinity and Trinity in Unity. Neither confounding the Persons, nor dividing the Substance. For there is one Person of the Father, another of the Son, and another of the Holy Ghost. But the Godhead of the Father, of the Son and of the Holy Ghost is all One, the Glory Equal, the Majesty Co-Eternal. Such as the Father is, such is the Son, and such is the Holy Ghost. The Father Uncreate, the Son Uncreate, and the Holy Ghost Uncreate. The Father Incomprehensible, the Son Incomprehensible, and the Holy Ghost Incomprehensible. The Father Eternal, the Son Eternal, and the Holy Ghost Eternal and yet they are not Three Eternals but One Eternal. As also there are not Three Uncreated, nor Three Incomprehensibles, but One Uncreated, and One Uncomprehensible. So likewise the Father is Almighty, the Son Almighty, and the Holy Ghost Almighty. And yet they are not Three Almighties but One Almighty. So the Father is God, the Son is God, and the Holy Ghost is God. And yet they are not Three Gods, but One God. So likewise the Father is Lord, the Son Lord, and the Holy Ghost Lord. And yet not Three Lords but One Lord. For, like as we are compelled by the Christian verity to acknowledge every Person by Himself to be God and Lord, so are we forbidden by the Catholic Religion to say, there be Three Gods or Three Lords. The Father is made of none, neither created, nor begotten. The Son is of the Father alone; not made, nor created, but begotten. The Holy Ghost is of the Father, and of the Son neither made, nor created, nor begotten, but proceeding. So there is One Father, not Three Fathers; one Son, not Three Sons; One Holy Ghost, not Three Holy Ghosts. And in this Trinity none is afore or after Other, None is greater or less than Another, but the whole Three Persons are Co-eternal together, and Co-equal. So that in all things, as is aforesaid, the Unity is Trinity, and the Trinity is Unity is to be worshipped. He therefore that will be saved, must thus think of the Trinity. Furthermore, it is necessary to everlasting Salvation, that he also believe rightly the Incarnation of our Lord Jesus Christ. For the right Faith is, that we believe and confess, that our Lord Jesus Christ, the Son of God, is God and Man. God, of the substance of the Father, begotten before the worlds; and Man, of the substance of His mother, born into the world. Perfect God and Perfect Man, of a reasonable Soul and human Flesh subsisting. Equal to the Father as touching His Godhead, and inferior to the Father as touching His Manhood. Who, although He be God and Man, yet He is not two, but One Christ. One, not by conversion of the Godhead into Flesh, but by taking of the Manhood into God. One altogether, not by confusion of substance, but by Unity of Person. For as the reasonable soul and flesh is one Man, so God and Man is one Christ. Who suffered for our salvation, descended into Hell, rose again the third day from the dead. He ascended into Heaven, He sitteth on the right hand of the Father, God Almighty, from whence he shall come to judge the quick and the dead. At whose coming all men shall rise again with their bodies, and shall give account for their own works. And they that have done good shall go into life everlasting, and they that have done evil into everlasting fire. This is the Catholic Faith, which except a man believe faithfully and firmly, he cannot be saved. All: O blessed, praised, and glorious Trinity, Father, Son, and Holy Spirit. The Congregation may be seated. All stand for the hymn. Who dost Thy sev’nfold gifts impart. The dullness of our blinded sight. Where Thou art Guide, no ill can come. O: May the name of the Lord be praised. All: We praise thee, O God; we acknowledge thee to be the Lord. To thee all Angels cry aloud, the Heavens and all the Powers therein. Heaven and earth are full of the Majesty of thy glory. O Lord, let thy mercy lighten upon us, as our trust is in thee. O Lord, in thee have I trusted: let me never be confounded. My soul doth magnify the Lord, / and my spirit hath rejoiced in God my Saviour. For he hath regarded / the lowliness of his handmaiden. For behold, from henceforth / all generations shall call me blessed. For he that is mighty hath magnified me; / and holy is his Name. And his mercy is on them that fear him / throughout all generations. He hath showed strength with his arm; / he hath scattered the proud in the imagination of their hearts. He hath put down the mighty from their seat, / and hath exalted the humble and the meek. He hath filled the hungry with good things; / and the rich he hath sent empty away. As he promised to our forefathers, / Abraham and his seed for ever. As it was in the beginning, is now, and ever shall be, / world without end. Amen. Please sit or kneel as you are able. O: You, unbegotten Father God, you, only-begotten Son, you Holy Spirit the comforter, holy and undivided Trinity we confess with one heart and one mouth; we praise you and bless you with glory into the ages. A: Our Father, who art in heaven, hallowed be thy name. Thy Kingdom come, thy will be done, on earth as it is in heaven. Give us this day our daily bread, and forgive us our trespasses as we forgive those who trespass against us. And lead us not into temptation, but deliver us from evil, for thine is the kingdom, the power, and the glory, for ever and ever. Amen. O: Let us bless the Father and the Son. P: You are blessed, O Lord. O: May the great and undivided Trinity of Father, Son, and Holy Spirit, bless and preserve us, and drive away every wrongdoing far from us. O holy and undivided Trinity, cleanse your servants, we pray, from all uncleanliness, and keep us in your holy service. P: May Almighty God bless and preserve us, he who made the heavens and the earth, the sea and all that is in them. O: May the Holy Trinity and undivided unity be blessed, we confess, because he shows his compassion unto us. P: O blessed, praised, and glorious Trinity, Father, Son, and Holy spirit, yours be the praise, yours the glory, yours the action of grace, honour, virtue, and courage, our God, unto ages of ages. All: We entreat you, highest Deity, that you wash away our faults and drag down our harmful things and give peace to us your servants and glory be to you throughout all ages. O: O Lord hear our prayer. P: And let our cry come unto you. O: Almighty, everlasting God, coeternal majesty and united deity, you who remain in Trinity and consist always in unity, attend, we beseech you, that we who are weighed down by the weight of our sins, may follow kindness with swift indulgence, through Jesus Christ our Lord, who lives and reigns with you and the Holy Spirit, ever one God, world without end. Amen. A: Almighty, everlasting God, who have given to your servants to know in faithful confession of the faith the glory of the Trinity eternally, and to worship the unity in the power of majesty, we beseech you that we be protected by the firmness of the same faith from every adversity, through Jesus Christ our Lord, who lives and reigns with you and the Holy Spirit, ever one God, world without end. Amen. O: Increase in us, O Lord, we beseech, your faith. A: Holy Trinity and true unity, we worship you, we praise you, we confess you, and we pray to you, that you would deign to accept the prayers of our lips, and release us through the merits of your saints, who established the catholic faith in us, and through the merits of all your saints, who have pleased you from the beginning of the world up into the present day, from the power of Satan and his servants. And free us, Lord Jesus Christ, from all the filth of our wrongdoings, who live and reign in the perfect Trinity. O: We worship you, Lord, Father, Son and Holy Spirit, equal glory and coeternal majesty in one divinity. P: You alone are the true God, and there is no other God except you. O: You are to be worshipped and revered, feared and venerated in Trinity and unity. A: You, indeed, are the Ruler, Lord God Almighty, who alone know the faith of consciences of all men. God, be favourable unto us sinners, because we are not worthy, being sinners, to lift our eyes to Heaven, nor to look at you, God the Father Almighty, on account of the multitude of our sins, but you, merciful God, Son of God, our establisher and redeemer, coeternal and coequal to the Father with the Holy Spirit, who came to save us sinners, have mercy upon us sinners, weighed down by the heaviness of all of our iniquitous vices. Take away from us, merciful God, all our evils, past, present, and future, and send your holy help from the heavens, so that our iniquity and sin may not have dominion in us, but that we may be strong to have repentance of it, which may be pleasing to you, and that we may merit to come to your compassion. Amen. O: O God, who alone hold wisdom, you know what would release us sinners, as it pleases us, and as seems good to the eyes of your Majesty, make it so for us sinners. Support, merciful father, the prayers of your servants, and may they come to your compassionate ears, which we pour out from us sinners in your presence at this hour. Amen. A: Lord God Almighty, eternal and ineffable, whom we confess as one in Trinity and Trinity in unity, you alone we worship, you we praise, and you we glorify, we give thanks for your compassion and mercy, which you have given to us who have withdrawn by night faithlessly and have wandered. Perfect, we beseech, O Lord, the work of your compassion begun in us, and through the virtue of the holy cross, give us always to think, speak, and do, to wish and to be able, those things which are pleasing to you, and watching over us with ever-favourable duty make us who are most wretched and unworthy to come to your compassion and vision, who live and reign one God in perfect Trinity, through all the ages of ages. Amen. O: We beseech you, Holy Trinity, Almighty God, through you yourself, through the unity of your divinity, through the excellence of your omnipotence, through your great mercy, through all your works which you have done from the beginning, do not deliver us into the hands of our enemies, but defend us sinners and your servants everywhere with divine protection. And by the grace of the sevenfold Holy Spirit come over us with holy benediction and defence, and may the virtue of the Most High defend us without sin from every danger and from every evil here in the future age. Amen. A: And may all the blessings which are written in the Holy Scriptures be upon us through all the days of our lives. Amen.